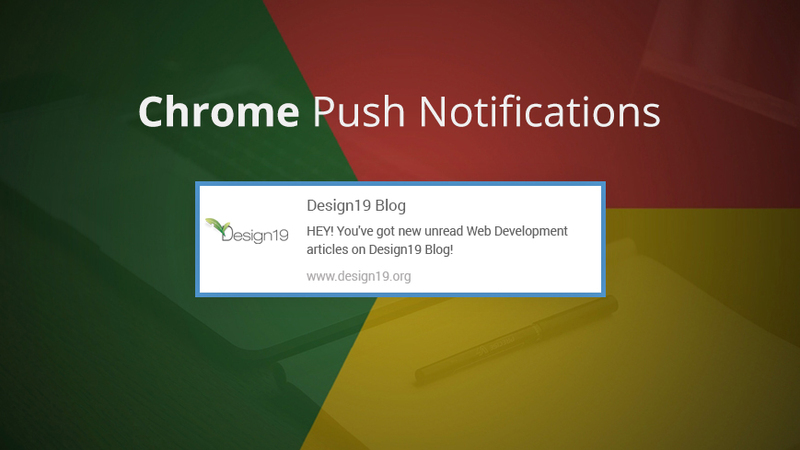 We have talked plenty about web push in notifications and their integration into your website. But there’s more to be had from its benefits than just better conversions. There’s often an odd misconception amongst people that marketing strategies are exclusively for products that are sold in marketplaces. People tend to overlook that most marketing means and strategies are based on strong concepts of interaction and engagement, it’s their usage that is expanded and utilized. Which means that they can be implemented beyond the application of just a palpable product. Your websites relying on content creation and blogging for the mainstay of its user base stand to benefit immensely from push notifications. It isn’t in fun and games that we go around claiming this. There’s a neat lot you can do with web push notifications, catapulting your blog’s progress and loyal readership. Web push notifications are easy to set up. Once done with this step your website is capable of showing pop-ups asking your readers’ the permission to show them further notifications. Although, if your website uses HTTP instead of HTTPS, you’ll have to have a 2 step notification subscription for your website users. If your website is running You can customise what you want to show your reader sin the push notifications that they will be seeing. And there’s a lot you can do. There are numerous customization and personalization tools that you can use to tailor every push notification make the utmost of its effectiveness. Notifyfox allows you to segment users based on their behaviour and browsing patterns, so you can customise notifications for each segment of subscribers. This allows you to send notifications to readers on your blog that only read from a specific category or only at a certain frequency. If you have a big blog with a lot of categories, you can send updates of specific categories of readers who exclusively read from a certain category, or perhaps even suggest related categories to those readers. If you’ve been reading anything on push notification, this might seem redundant, but the fact that web push notifications eliminate the need for a dedicated app means a lot to anyone utilising them. Since they have cross-platform capabilities, there is no need for you to invest time and money into developing a dedicated app for your blog. Saves a bunch, mostly time, a bit of money, and the great hassle to keep an app up to date and within the limits of the T&C of the different app stores. Given the popularity of mobile computers and the rising smartphone base, push notifications are a feature that ought not to be missed out on. Push notifications of this category work only after obtaining the user consent and are browser oriented rather than being email address-oriented. This not only means that there is no need for your readership to part with their personal information but also that push notifications gain more traction exactly due to the same feature. People are hesitant to provide their details, and less information means less of a commitment, All the less reason for people to turn down a pop-up. Most services providing web push notifications have great automation capabilities that can send notifications to users about your new blog posts, an event, trending posts, perhaps a guest article or interview, a conference, it could be anything. Push notifications services including Notifyfox have incredible capabilities that can deliver specified notification delivery at scheduled times. sending out updates about blogs. Updates about trending blogs if you have too many daily updates. It is imperative that you give a very good CTA in your push notifications to get your subscribers to click that notification and bring them to your website. Alternatively, web push notifications require very little effort in customizing and making them. This saves you time, yes, but more so requires little effort. You can invest time to make good copy for the notifications that can arrest the attention of a much larger audience without the effort to make big advertising pages and email newsletters to grab readers attention. Since web push notifications do not require the user to be on your website to receive notifications, you can send real-time notifications to any user at any time and they will get the notification, in their PC web browser or mobile web browser, depending what permission the subscriber has set for each of their browsers. Updates could include a new post on your blog, an e-book you wrote, or simply a comment or reply in the comments section that a reader has engaged with. Great! Web notifications are literally THE way to go. Well, it is, because that’s only one-half of the story. There, of course, are some caveats. Web notifications tend to make users subscribe via them rather than emails which yield more, and have greater potential for product marketing while push notifications are more like a heads up for the same. You can use push notifications for letting people know about new products and all, but be very careful. You don’t want to end up making them an hourly affair, spamming the users into unsubscribing from your notifications. The pop up being the first thing that users see might act as a deterrent too, no matter how unobtrusive and better than regular pop-ups. It might also be the case that push notifications might deter your reader base to ignore your other CTA on your blog or website. Regardless, web push notifications to have a veritable room to grow in, so be liberal before the saturation hits. It’s worth the time and effort to build a push notification subscribers list. The time is about as ripe as it can be. Give it a shot.